Today is all about how I organize my Designer paper and the pocket that I use to place in a 3 ring binder that make it easy to see what I have. Perfect timing with the July special buy 3 pk get 1 free. 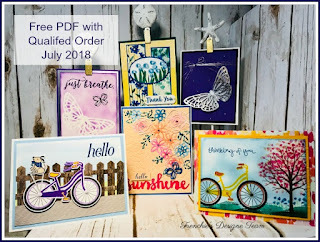 All the designer paper that is part of this sales are listed at the bottom. In the video I explain all how I make my sampler and how I organize my paper. It is amazing how I can find my paper and also see quick what I have on hand plus the coordinate cardstock for each pack of designer paper. You can find the video at the bottom of this post or on my You Tube Channel. Top one is the coin pocket page, each pocket measure 2 x 2 that I found on amazon. Each page has 20 pocket. 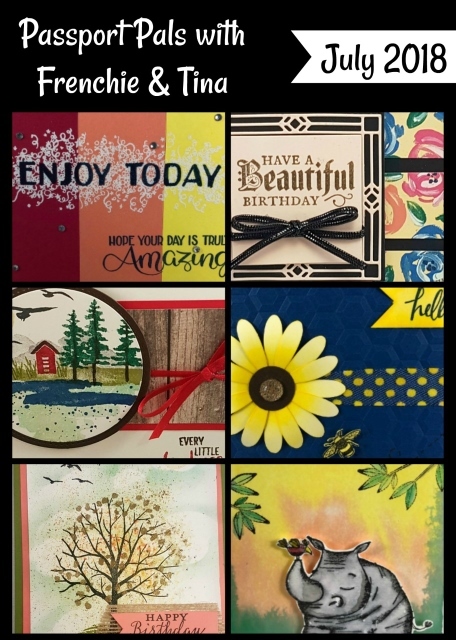 A regular pack of designer paper that is 12 sheet 6 different sheet and 2 sided pattern you can see each pattern on one side of a page including the matching card stock. Also I write all the name of the coordinate card stock for easy reference. Sometime some of the same shade color is hard to tell what it is so this way I can refer to the name but I always like to see the color right there with the designer paper. This large packet are for trading card they measure 2½ x 3½ and they have 9 packet so for a pk of designer paper to see both side you will have to look at the front and the back. This is my prefer one cause I can see more of the pattern paper. I order them on amazon also they are Trade Card sleeve or some are call Trade card page protector. I explain all in the video how I set them all up. Also in the video I explain how I filed them with a number on them for easy found and after the video was done I mark on my page protector the number of the files. This system is amazing and so handy. If you wish you would have a system to organize your designer paper trust me you want to watch this video. Did you now in my Free Chart Section HERE i have a chart with all the Designer paper all they way back in 2006 with all the names of the Designer paper and the color cards stock that coordinate with them. CLICK on picture below for the printout or view. What a great idea and one I can use with all my papers not only SU. Going to work on this project. Thank you. This is so awesome! I am in the process of reorganizing and redecorating my stampin’ space and this is such a great idea! Thanks for all of your hard work and sharing with us!